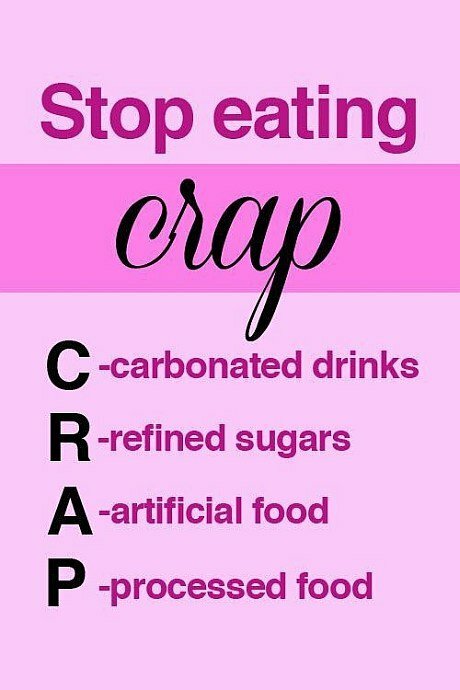 Stop eating CRAP- C- carbonated drinks, R- refined sugars, A- artificial food, P- processed food. Love you concept! Can I use your slogan of CRAP (with my own graphics) on a T-shirt I am designing for myself?